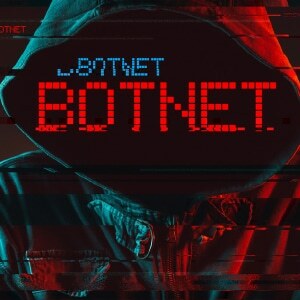 The main devices targeted by botnets, are outdated machines – still operational, but ignored and left at corners of schools, weather stations, museums – as well as the nonsecure Internet of Things gadgets. Simply put, when an internet-connected device stays out of date for so long, then it becomes vulnerable since more unaddressed security flaws are discovered. These security flaws will somewhat give access to the attacker, who will control your machine remotely – they will then send any illegal tasks to it, say a task to open the server. Additionally, any computer that stays unattended for long, thus, they end up exhausting the bandwidth, processing power; coupled with some odd behaviors that even creators will solve. Some of the devices are always at risk from botnet attacks include, surveillance cameras, smart fridges, thermostats, library computers – these devices can be attacked and go unnoticed for a long time. Most IoT devices always ship with weak-default passwords, and their pattern of login credentials is always the same. And with each tech-advancing day, manufacturers are using poorer security techniques on their smart gadgets, while exerting pressure for lower prices. The extent of how insecure most smart-home gadgets might be is overly undetermined. The joke on the security of IoT devices was heightened by the attempt of the Japanese government who wanted to use the default login credentials to hack into these smart-home devices – as a security measure, they said. It remains a subject of discussion, whether it’s the right move by authorities to demand access to its citizen’s private possessions. However, an argument continues, whether using default login credentials on these gadgets is the same as leaving them without passwords at all. Maybe an illustration in real life: would it be okay to have the police patrolling a parking lot trying to locate unlocked vehicles? And would it be a good idea for the same police personnel to try and close the doors of the unlocked car? Spam; Botnets can distribute millions of spam globally. They can use email platforms to spread their spam messages. For instance, in 2018, the average email spam sent between January and September was 56.69%. Malware; Botnets can deliver malware and spyware to unsecured machines. Most criminal syndicates use botnets to sell and buy various criminal enterprises. Data; botnets can capture your passwords and other personal data. Click baits; botnets can send phishing links, adverts and specific attractive images with false information. DDoS; Botnet scammers can direct the power of these unsecured machines to target devices, taking them in an offline mode of DDoS mode. Botnet scammers normally tweak their network settings for a number of these functions to generate profit. For example, botnet operators sending medical spam to US citizens, also have their pharmacist to deliver good and products. Always update your machine software apps to get the latest cybersecurity features. Make it a habit to constantly change your passwords for various smart home devices – remember to follow the password creation rules. However, all IoT device manufacturers are expected to start practicing improving the security levels of its products. Users should also demand improved privacy and protection when using smart devices. Using IPBurger VPN especially on your router will protect all your devices from most internet threats and attacks. 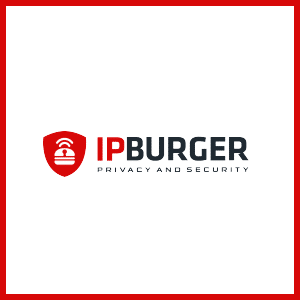 IPBurger VPN uses the AES 256-bit encryption which ensures no prying eyes get access to your data nor devices. IPBurger VPN also ensures your devices are private when they access the internet. This is because IPBurger VPN assigns them a virtual IP address which hides their real IP address hence privacy.